"To us, trips feel like we're out doing the things we love with a group of good friends and that's exactly how it is at Hidden Valleys." Hiking-in over mountain passes is a very rewarding and worthwhile experience. Options include fully guided or self guided trips. 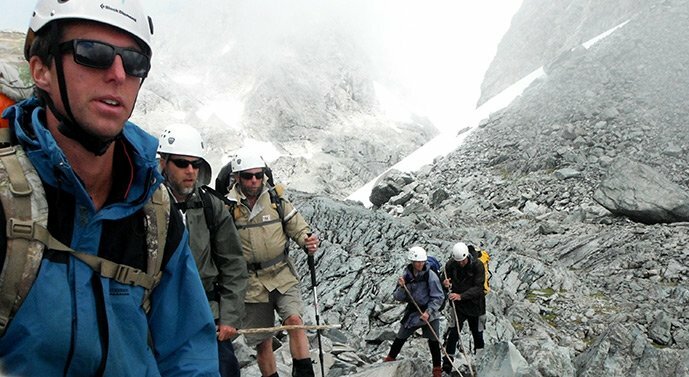 In some cases, such as the Waiau River trip, there are well-formed Department of Conservation walking tracks, but in other cases, such as the Dennistoun Pass trip, which is very rarely travelled, we are route finding over a high alpine pass where there is permanent snow and ice. 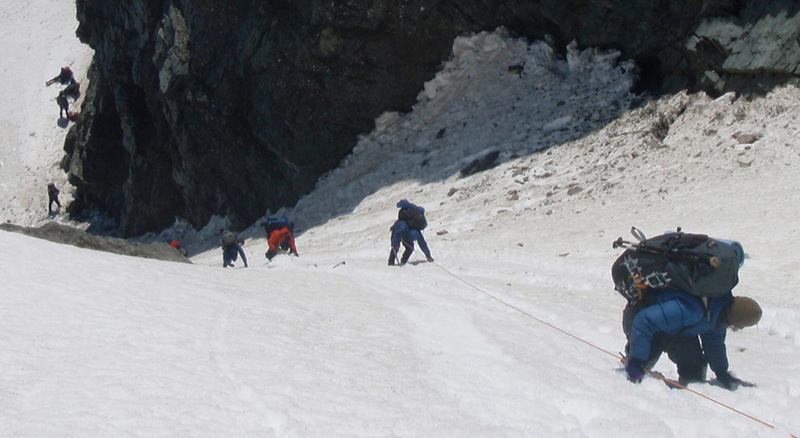 Our alpine hiking trips can be very challenging at times, but you will never find a more rewarding experience. A trip of this nature is very special, and especially so when sharing with friends or family. The hike in to the Waiau River over Ada Pass is best done over two days followed by two days on the river. It is a formed track mostly through Beech Forest until descending down the Ada River to the Waiau Valley. Brodrick Pass is a two-day Main Divide Crossing linking the Hopkins/Huxley Valleys to the less accessible Landsborough River Valley. The Brodrick Pass covers a range of terrain from beech forests and open river flats to rugged snow-covered mountaintops. 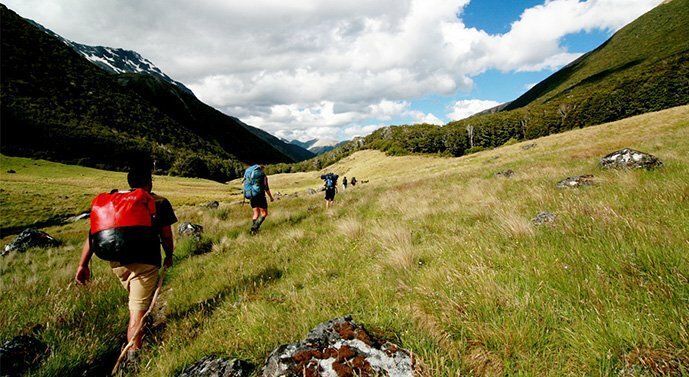 This is a genuine hiking expedition where we cross from one side of the South Island to the other, while traversing some of the most captivating, remote and spectacular New Zealand scenery on the way. 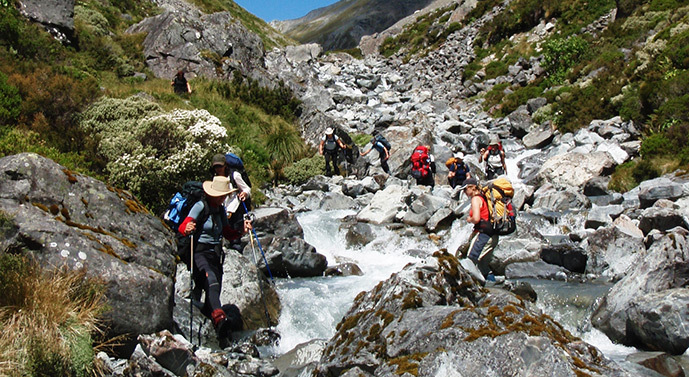 Enjoy New Zealand alpine walking and hiking tours in the South Island with Hidden Valleys.